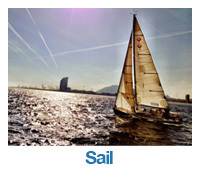 commercial endorsement | MT Sail & Power RYA courses. What is a commercial endorsement? 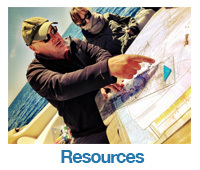 For Yachtmaster Offshore and Yachtmaster Ocean Certificates of Competence: This certificate is valid for use as a Master of yachts of up to 200gt on commercially and privately registered yachts until (date of expiry). For Powerboat Level 2, Powerboat Advanced, Day Skipper and Yachtmaster Coastal Certificates of Competence: Valid for vessels of up to 24 metres in length used for commercial purposes subject to the codes of practice issued by the MCA until (date of expiry). The following wording would appear on your certificate: The certificate holder has completed training under the STCW code A- VI/1 Para 2.1. This certificate is valid for use as Master of yachts of up to 200gt on commercially and privately registered yachts until:(date of expiry). Which certificates can be commercially endorsed? RYA Day Skipper (tidal) practical course completion certificate. RYA Day Skipper (non-tidal) practical course completion certificate, only if supported by a Day Skipper shorebased course completion certificate. In addition, the RYA Yachtmaster Offshore and Yachtmaster Ocean Certificates of Competence can receive the STCW endorsement. The MCA’s codes of practice categorise British flagged commercial yachts according to the type of yacht and the waters in which they operate. It is this categorisation that determines which of the above certificates you will need. See the MCA’s table of manning requirements below. The RYA is a certifying authority for the codes of practice and can give advice on the coding and categorisation of commercial yachts. See the requirements for commercial boats link below. How do I apply for a standard commercial endorsement? An ML5 or ENG1 medical fitness certificate – download the MCA’s ML5 form from the link on the right. Skippers working in category 1 or 0 waters will need the ENG1 medical. Contact the MCA for a list of approved doctors. *From April 2012 applicants for the commercial endorsement will also have to complete an online course and assessment, as detailed in the ‘What is a commercial endorsement?’ section above. How do I apply for a STCW endorsement? All commercial endorsements must be revalidated every five years by proving at least 150 days of actual sea service on appropriate vessels during the previous five years, and be in possession of a valid medical fitness certificate. 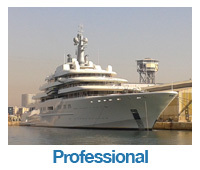 If you are unable to prove the requisite sea service but are able to demonstrate that during at least half of the five year period you have been employed on duties closely associated with the management and operation of one or more of the appropriate types of vessels, you may have your certificate considered for revalidation. *April 2012 onwards applicants for the commercial endorsement also have to complete an online PPR course and assessment, as detailed here. Once you have taken your first PPR course, at subsequent renewals of your commercial endorsement you will need to take a reduced version of the course and a short test to make sure you are still up to speed with the subject. Note: If you are over 65 and subject to more regular medical fitness examinations, you do not need to take the PPR course each time you renew your medical. You will simply need to take it when your commerical endorsment is due for renewal (normally every five years).